So you've decided to go full blown keto and you’ve spent time preparing yourself for this new chapter in your life. Good for you! One last thing to consider, however, supplements. Do you think that MCT oil is all you need? Let’s take a closer look. While it's true that you can live perfectly fine without any supplements, it’s also true that a few of the right supplements can not only help you avoid the “keto flu”, but they can help to maximize your results and keep your body in perfect balance. Let's take a look at the top 5 supplements we feel will do you the most good. If you have yet to start your keto plan, or if you are experiencing the “keto flu” and wish you had not started, this is the best supplement ever. By cutting carbs, your body will naturally shed lots of water. Unfortunately, this also means you will be in seriously short supply of electrolytes, which can make you feel sick as heck. 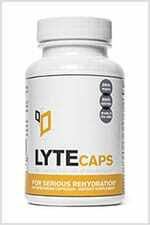 Taking some electrolyte supplements before you start the diet can prevent those common "flu" like symptoms and help with stress levels. You can find these supplements to add to your water in almost every health food store. Don’t drink those “sports” drinks, they are filled with sugar and other unwanted ingredients that will knock you out of ketosis in a New York minute. Fish oil has so much to offer the body that it’s hard to know where to start! While you should enjoy plenty of fatty fish on the keto diet, sometimes too much of a good thing is simply not enough! Fish oil is one of nature’s best anti-inflammatory, but it’s also loaded with healthy omega -3’s, something most of us do not get enough of, especially when we follow the keto diet strictly. 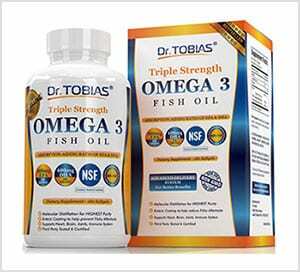 Do not be afraid to take 2-6 grams of fish oil each day. Many people find that taking 2 grams with each meal is easy to digest and helps them feel better. Perfect Keto Supplements come in a variety of forms to complement every one's taste, including Perfect Keto Base Exogenous Ketones BHB Salts (that’s a mouthful, isn’t it?). These natural sea salts come in a variety of flavors. This is one of the easiest ways to help you get into and stay in a state of ketosis. Mix this natural salt with almost anything; coconut milk, coffee, almond milk, shakes, etc. 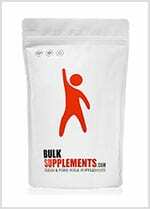 These salts will help improve your workout, immediately raise your ketone levels, and boost energy. 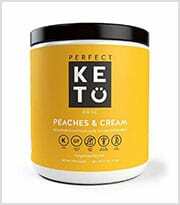 There are other keto supplements from this company, including Keto Collagen with MCT, Matcha Latte with MCT Oil Powder, and Unflavored Perfect Keto MCT Oil Powder, to name a few. Let’s not forget our favorite, Perfect Keto Micros Greens Powder! This antioxidant and nutrient rich source of greens is perfect for those who want all the goodness of veggies, but whose stomach can’t deal with them! This is an important amino acid that plays a big part in muscle contraction, the building of muscle mass, and energy production. You will find body builders and athletes using creatine supplements for the reasons listed above. While your body naturally makes some creatine, as we age, production declines rapidly. For more energy, endurance, and better workouts, try a good quality creatine supplement. This is another amino acid, but one that acts as a powerful antioxidant. This is important for those on the keto diet because even regular exercise can deplete your natural reserves of glutamine, which can produce those ugly free radicals which cause damage to your cells. Cutting carbs means you might not be getting enough of those healthy antioxidants, which is why we recommend taking an L-glutamine supplement.